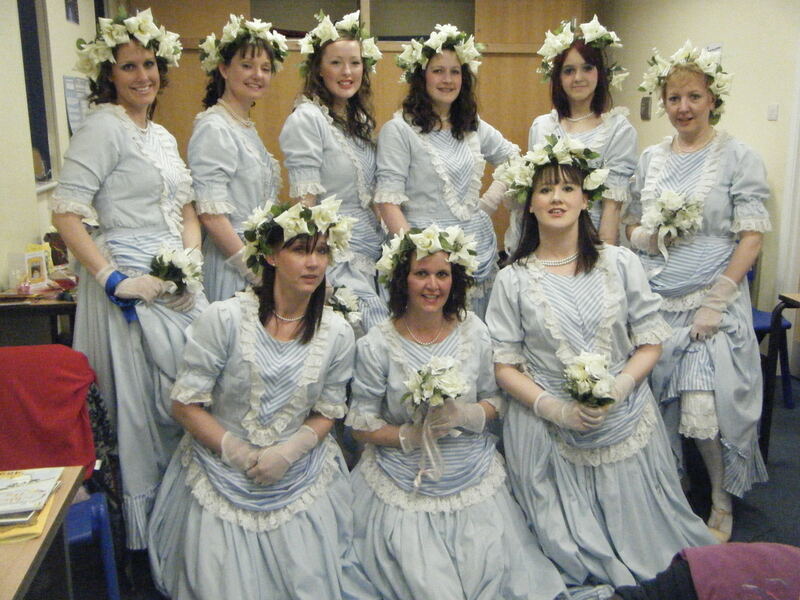 It was all change for Christchurch Gilbert and Sullivan Society in the autumn of 2010. The Shepshed-based group had made the decision to move their annual productions to the autumn and November the following year saw their production of The Gondoliers, their first full length G & S operetta since this decision. 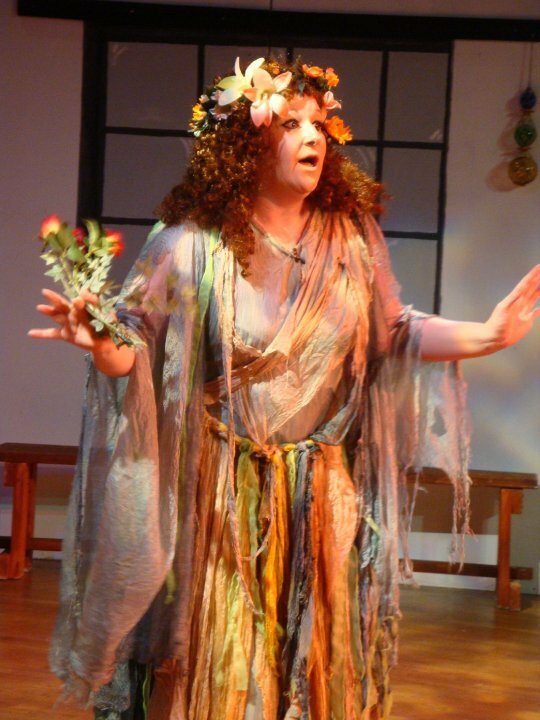 Not only had the group made the switch from spring to autumn, but they had also switched from father to daughter in the Director’s chair – long standing member Cheryl Perkins took over the reins from father Richard for this production. The Gondoliers (or The King or Barataria) is Gilbert and Sullivan’s popular Italian operetta, opening in Venice where all the ladies are waiting for the two most handsome Gondoliers (Marco and Giuseppe) to make their choice of bride. The brothers announce that they will be making their choice blindfolded and are happy when their brides are revealed as Gianetta and Tessa. The quartet’s celebrations are interrupted when it is revealed that one of the brothers is actually the King of Barataria, but as the real prince and a Gondolier’s son were mixed up as infants, no-one knows which one is the true heir to the throne. Marco and Giuseppe are forced to leave their brides and sail to Barataria to take up the throne jointly. To complicate matters further, the heir to the throne of Barataria was married as an infant to Casilda, the daughter of the Duke of Plaza Toro. Casilda, who is secretly in love with her father’s attendant Luiz, must wait with everyone else concerned for the real King’s foster mother to come forward and identify the true King. Sullivan’s beautiful score includes ‘When a Merry Maiden Marries’, ‘Take a Pair of Sparkling Eyes’, ‘Dance a Cachucha’ and ‘With Ducal Pomp’. Newcomer to the group Steve Gale and Allister Jordan became the ‘bei signori’ for the show, with Caroline Robey and Nicole Jordan (playing opposite her husband for the first time!) as their blushing brides. Valerie Hart and Neal Chantrill were the secret lovers Casilda and Luiz with Richard Perkins and Sue Smith as the Duke and Duchess of Plaza-Toro. Christchurch Gilbert & Sullivan Society’s concert An Echoing Voice was performed at Hind Leys College, Shepshed on Friday 12th and Saturday 13th November 2010. The concert celebrated the successful, if sometimes tumultuous, writing partnership of W.S. Gilbert and Arthur Sullivan, which produced a total of 13 comic operas. The concert was narrated by Gilbert (played by Steve Shipton) as he reflects on his collaborations with Sullivan and included songs from all of their operettas including The Mikado, The Pirates of Penzance, Iolanthe, HMS Pinafore and The Gondoliers. Songs included were ‘When I was a lad’ (HMS Pinafore), ‘When the foeman’ (The Pirates of Penzance), ‘Peers Chorus’ (Iolanthe), ‘Three Little Maids’ (The Mikado) and ‘Dance a Cachucha’ (The Gondoliers). The concert proved popular with the Society itself and featured their largest ever cast with over 40 members taking part. This proved a challenge to the concert’s directors, Nicole Jordan and Richard Perkins, who had the task of fitting everyone on stage at once for the chorus numbers! The group used this concert to establish November as the new time of year for future productions.The next full-scale production The Gondoliers followed in November 2011. Kieran ensures the show will go on! Well-known Loughborough performer Kieran Sutcliffe came to the rescue of Christchurch G&S Society to ensure that the show would go on! A member of the cast for their production of Ruddigore had to pull out early in the year but Kieran stepped into their shoes to play the part of Richard Dauntless. Director, Richard Perkins said “It is always a worrying time when you need to cast a part at short notice but we were delighted when Kieran agreed to help us out. It was the first G&S show that he had ever appeared in and he proved to be a real asset to the group and quickly learned the part”. Ruddigore (also known as The Witch’s Curse) tells the tale of the Baronet of Ruddigore. Following the curse of a witch, the holder of this title has to commit a crime every day or die in inconceivable agony. Sir Ruthven Murgatroyd, the real Baronet of Ruddigore, is disguised as a young farmer Robin Oakapple in order to avoid this fate, leaving his brother Sir Despard to assume the title. Robin is in love with Rose Maybud but he is too shy to declare his affections so enlists the help of his sea-faring foster brother Richard Dauntless. Richard takes a fancy to Rose himself but eventually Robin and Rose are brought together. Just as Robin is preparing to marry Rose, his true identity is revealed and he is forced to take up his title as Sir Ruthven, losing his bride in the process. Sir Ruthven is left to find a way of satisfying his ancestors – and the curse – while continuing to live a blameless life. 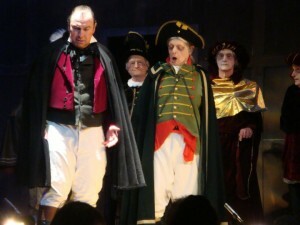 Alongside Kieran was Allister Jordan and Rachel Fitzpatrick as Robin Oakapple/Sir Ruthven Murgatroyd and Rose Maybud respectively and Peter Bateman and Marilyn Ashwell took on their first roles with the group as Sir Roderic and Dame Hannah.Cheryl Perkins as Mad Margaret, Dave Stapleton as Sir Despard, Len Dobson as Sir Adam, Valerie Hart as Zorah and Emma Brown as Ruth completed the cast. Welcome to the new Christchurch Gilbert and Sullivan society website! It’s been a long time coming but we finally have a more up to date website, feel free browse the site, see our past productions and future ones, and we look forward to seeing you for our next production. Our production of The Mikado was staged in March 2009.